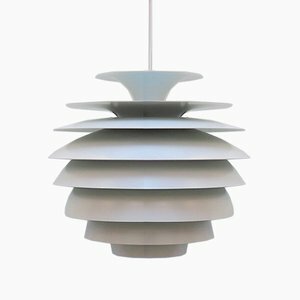 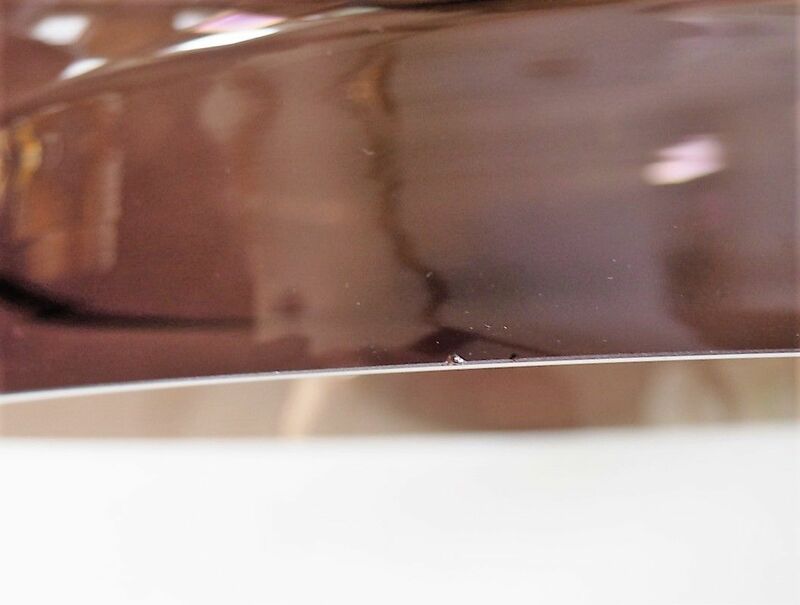 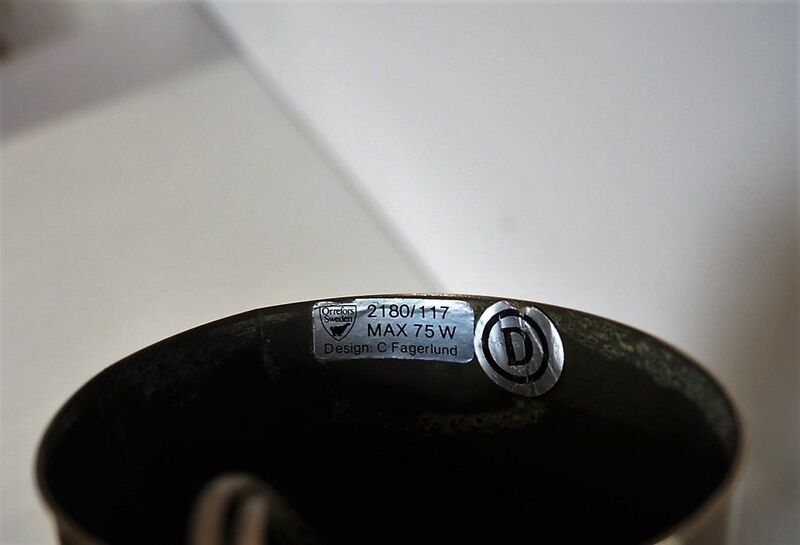 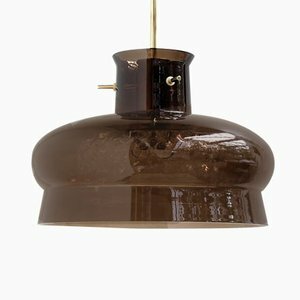 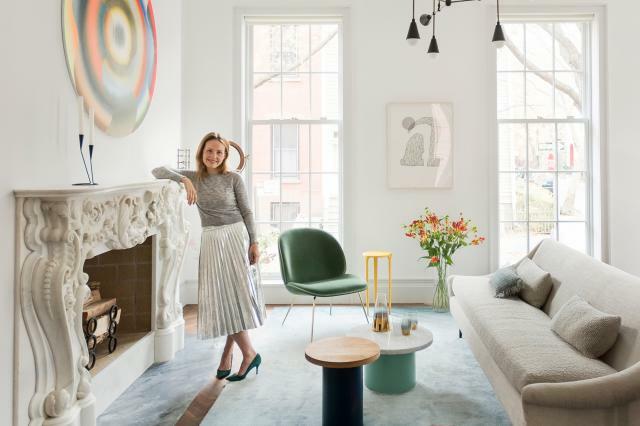 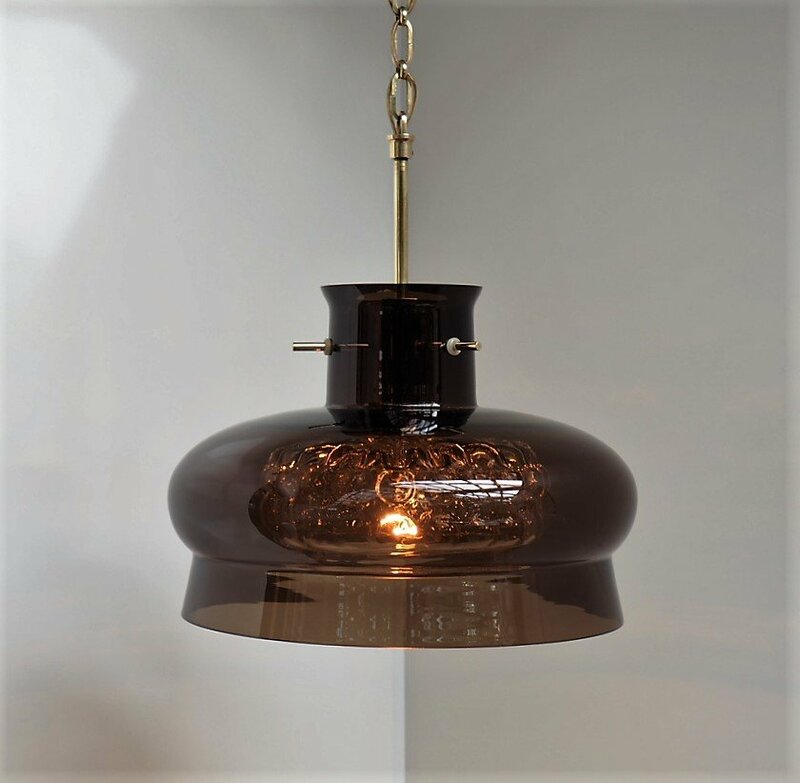 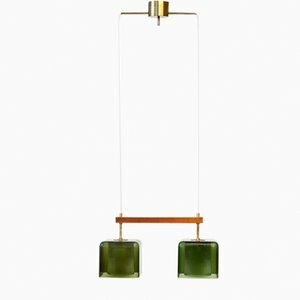 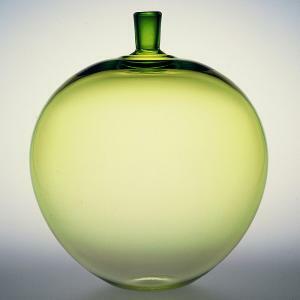 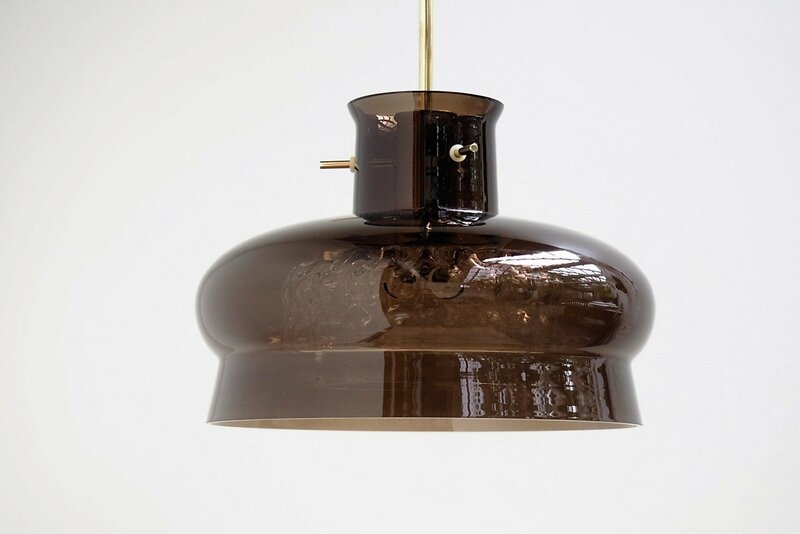 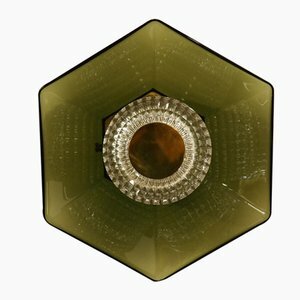 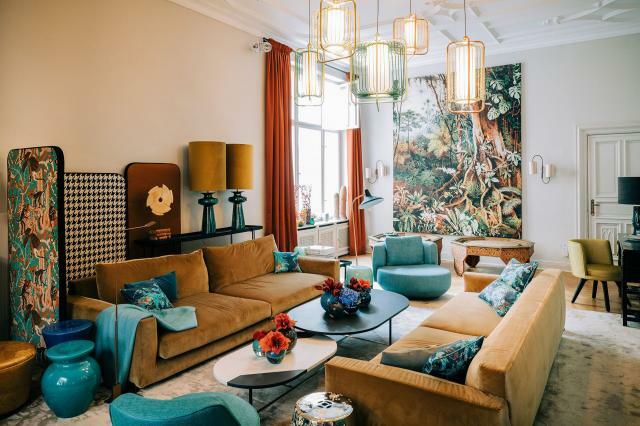 Mid-century modern pendant with double glass shades in smokey brown/green and clear glass hanging from a brass suspension designed by Carl Fagerlund for Orrefors. 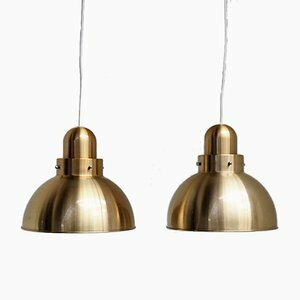 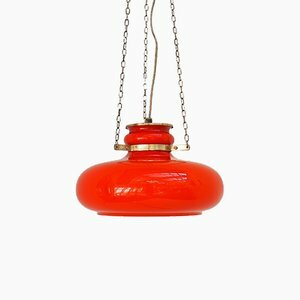 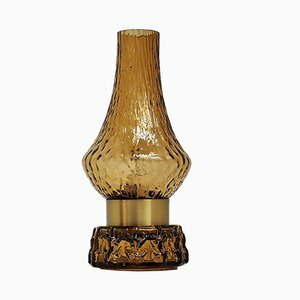 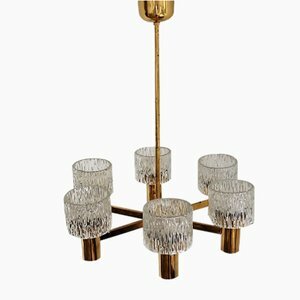 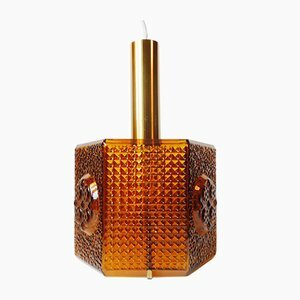 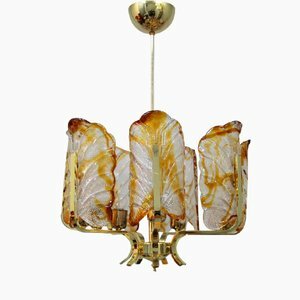 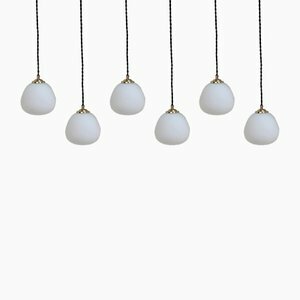 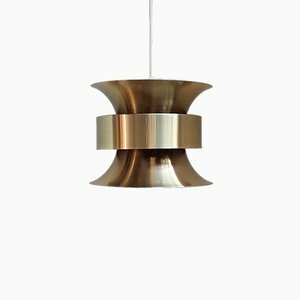 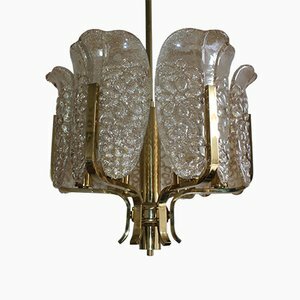 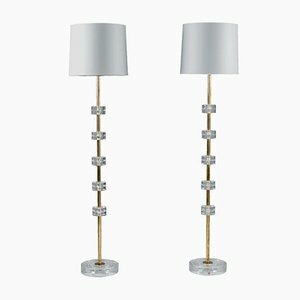 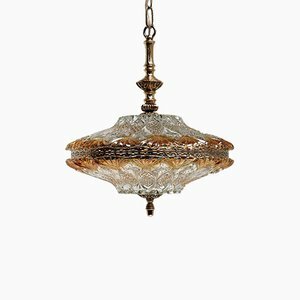 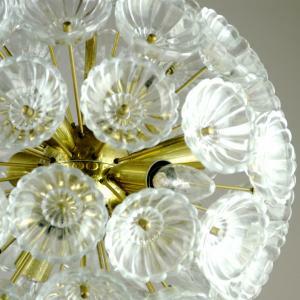 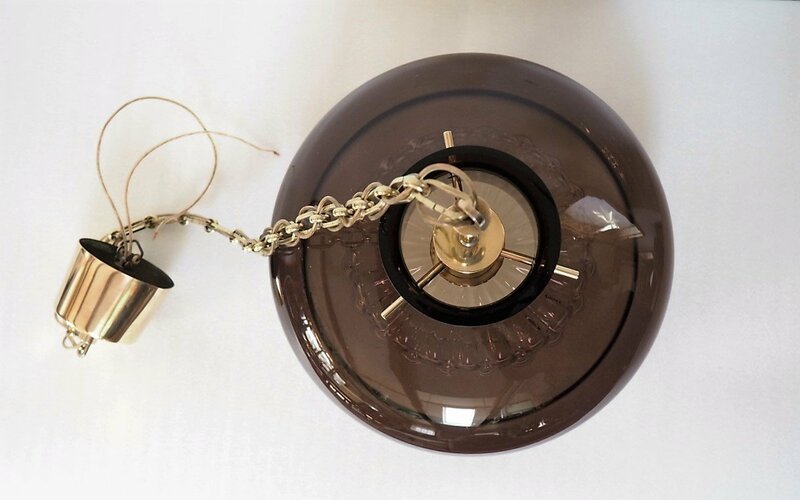 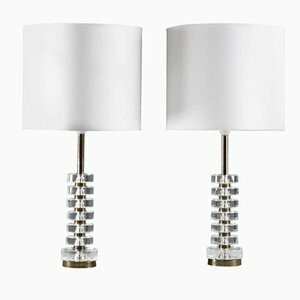 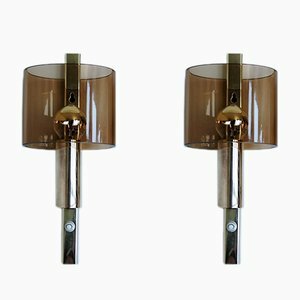 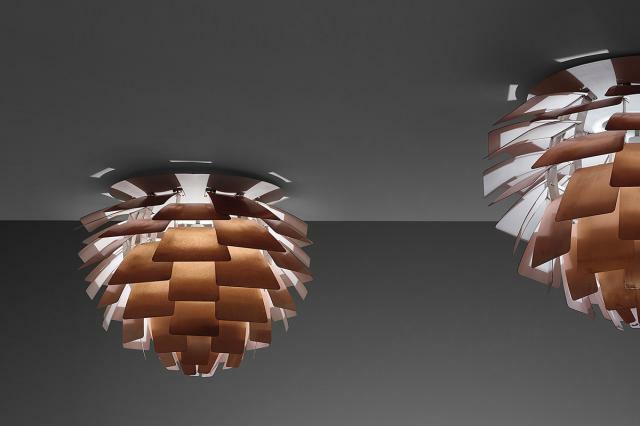 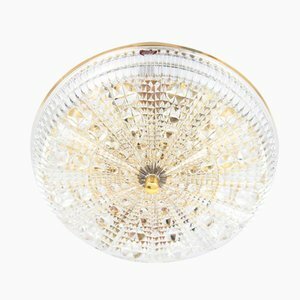 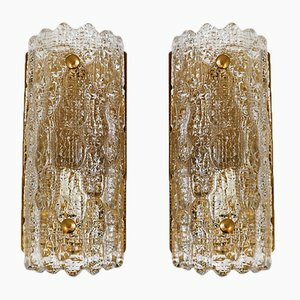 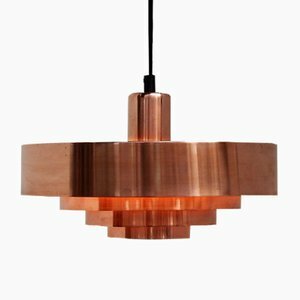 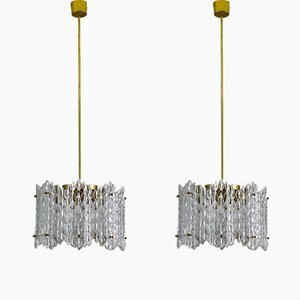 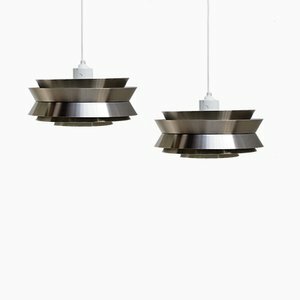 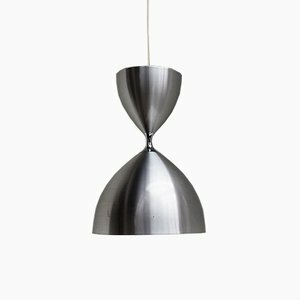 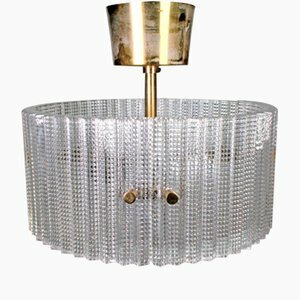 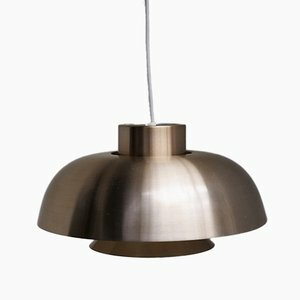 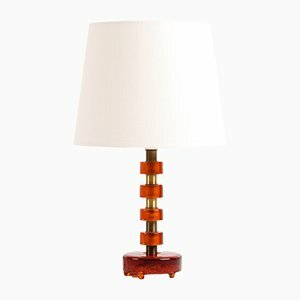 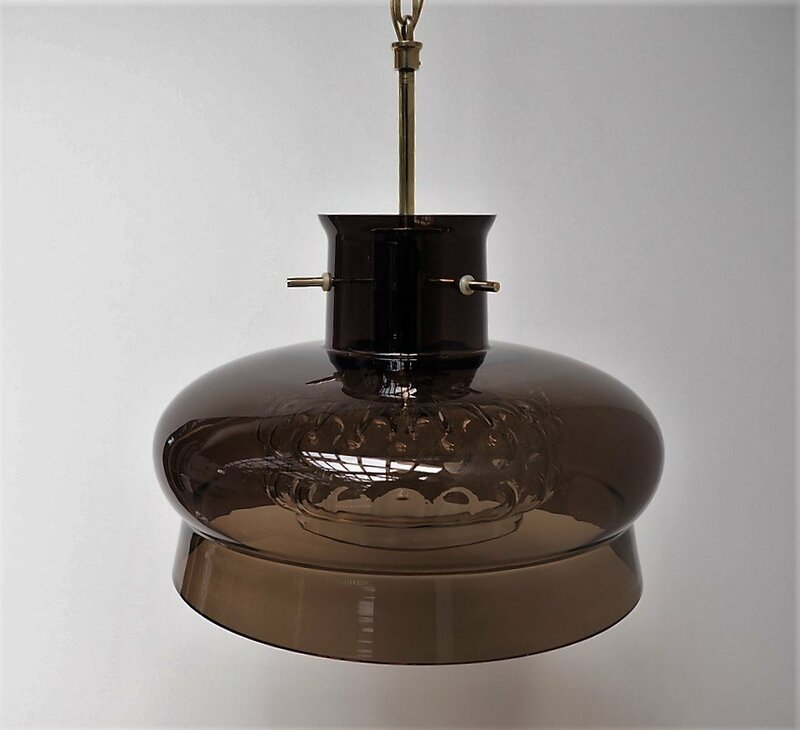 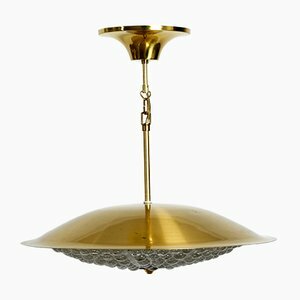 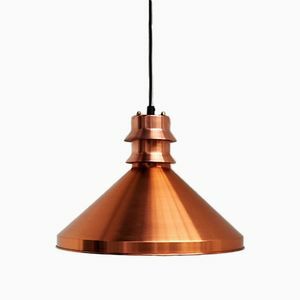 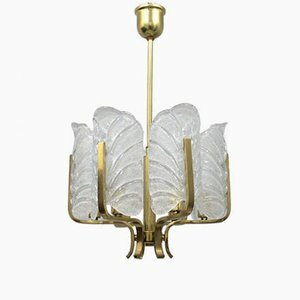 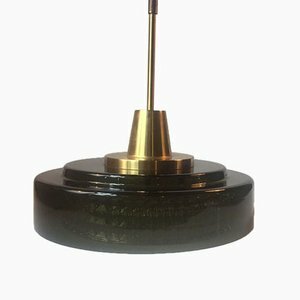 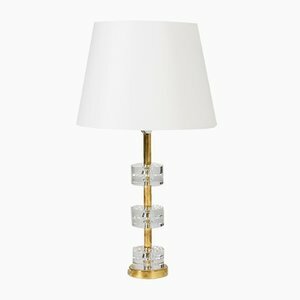 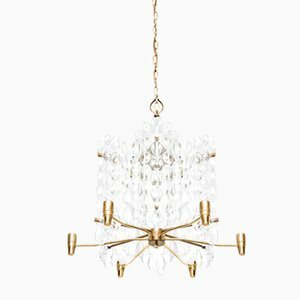 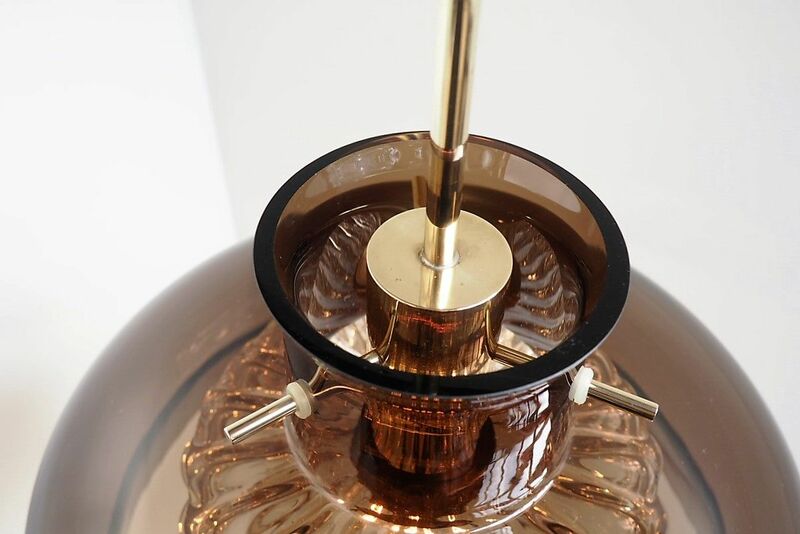 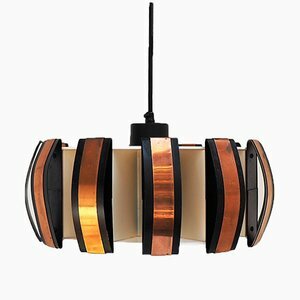 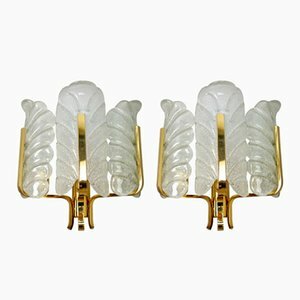 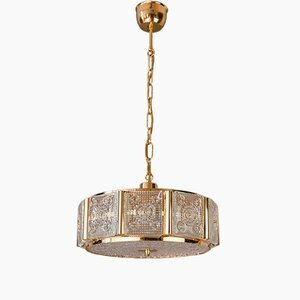 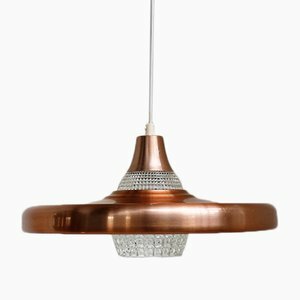 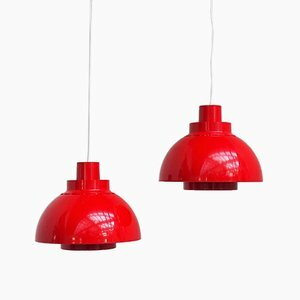 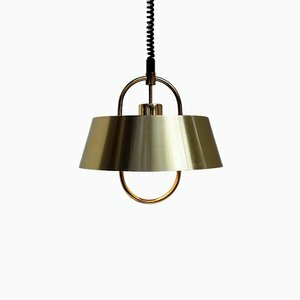 The glass shade is mounted to the brass suspension by three brass pins and the pendant hangs from a brass chain including a canopy (max. 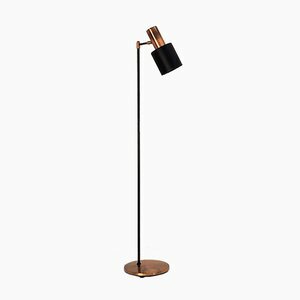 total height 110 cm).